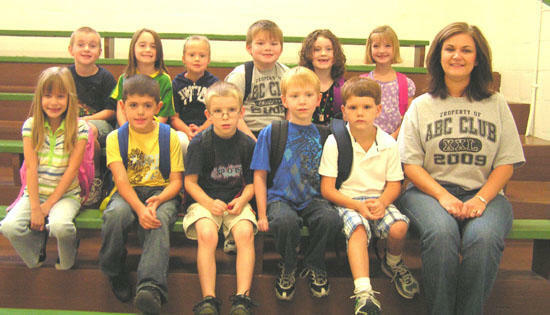 Pictured are Mrs. Stephanie's 1st Grade class at Short Mountain School. They are the winners of the 1st 6 six weeks behavior award. The school has a School Wide Positive Behavior System in place. When a class as a whole is caught being good going down the hall, in the lunch room or even in an assembly, that class can be awarded a chain link with the reason they where caught being good. At the end of the six week the class with the most links is the winner. Any teacher or faculty at the school can award a chain link to a class except for that class' teacher. This past Friday, 1st grade was awarded a pizza party at the end of the day as their award.